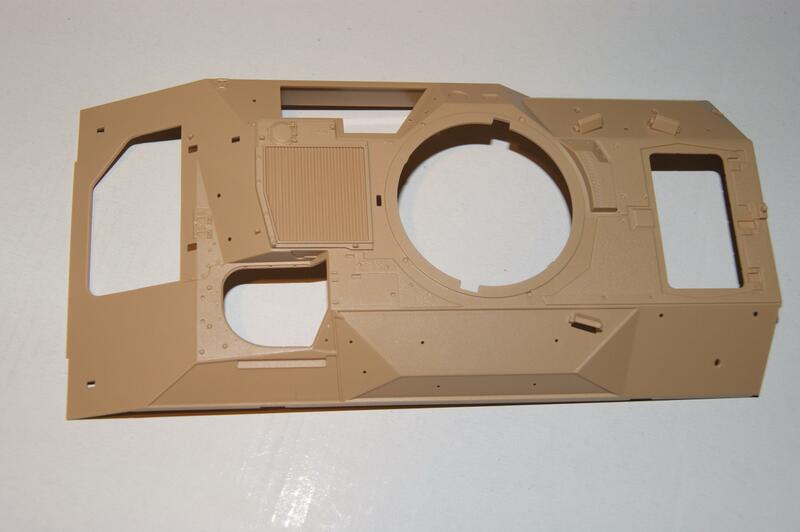 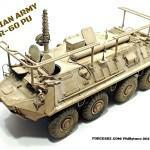 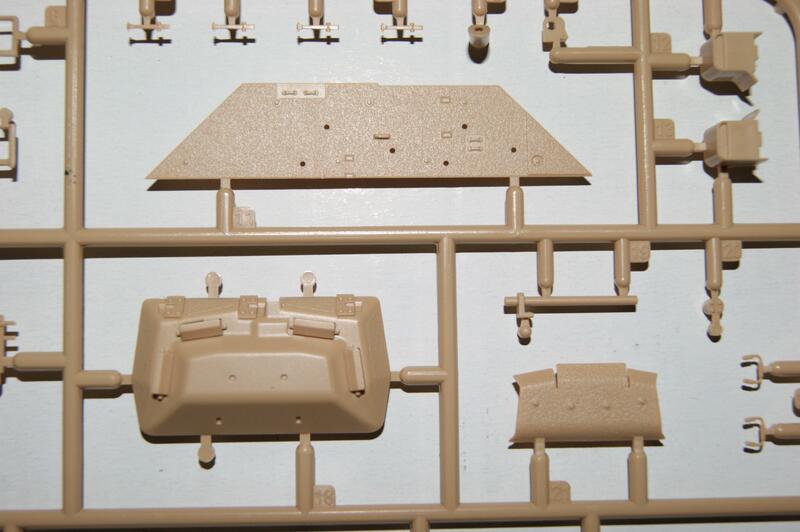 After Meng did their M2A3 kit with interior they also did this M3A3. 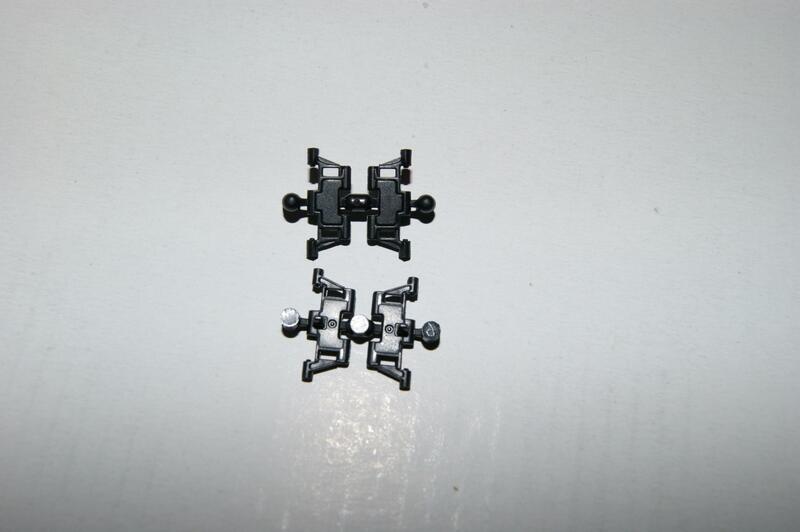 They look a lot like each other but there are a few differences. 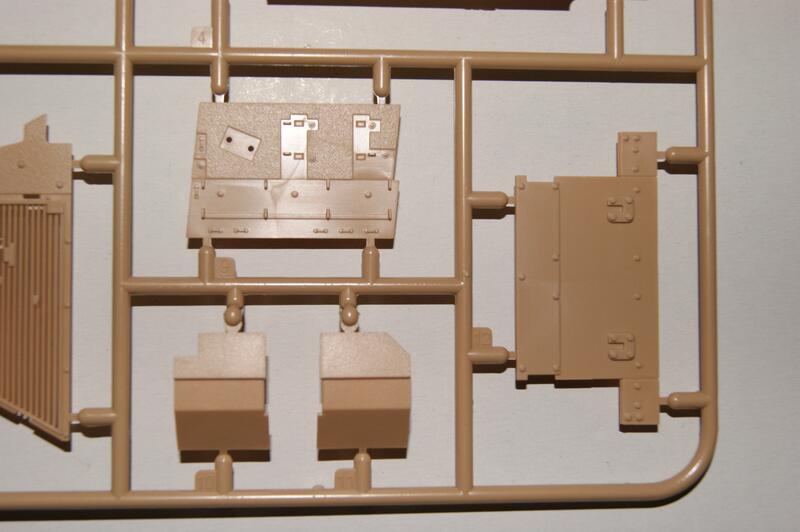 First of the M2 is designed to carry 6 troops apart from the 3 man crew. 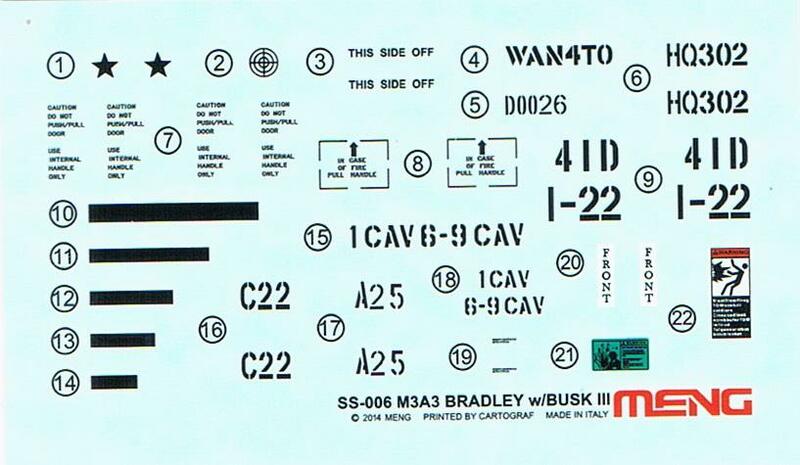 The M3 is for scouting missions and can carry extra TOW missiles. 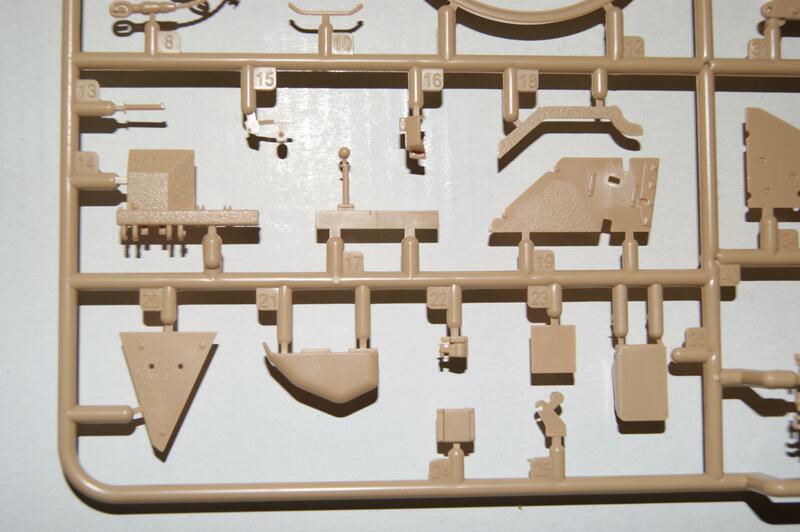 In the kit that means taking of the periscope ports and the armor is different on some points. 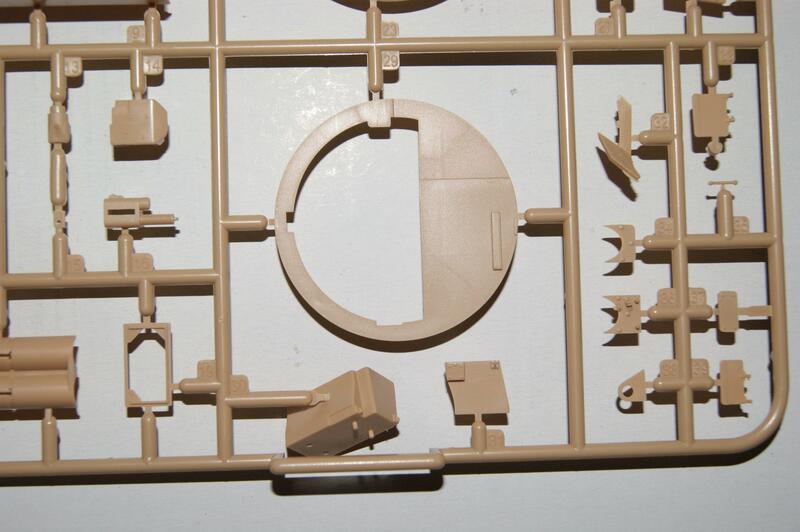 Also different between the two kits is the fact that the M2 kit had an interior. 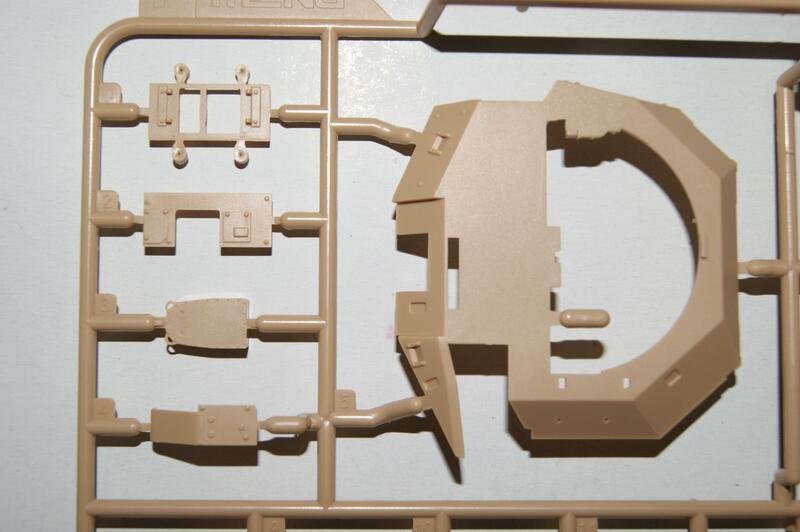 Meng gave the modeler a choice for this one, the interior is sold as a single kit. 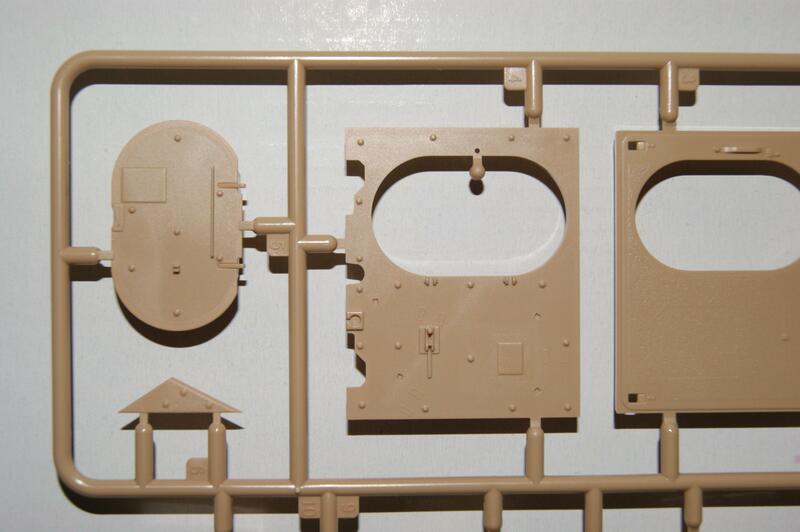 For me that was the reason for buying this kit because I’m not much into interiors. 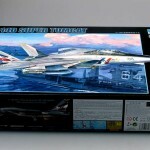 The box has a very colorful artwork on the front and the decal options on the sides. 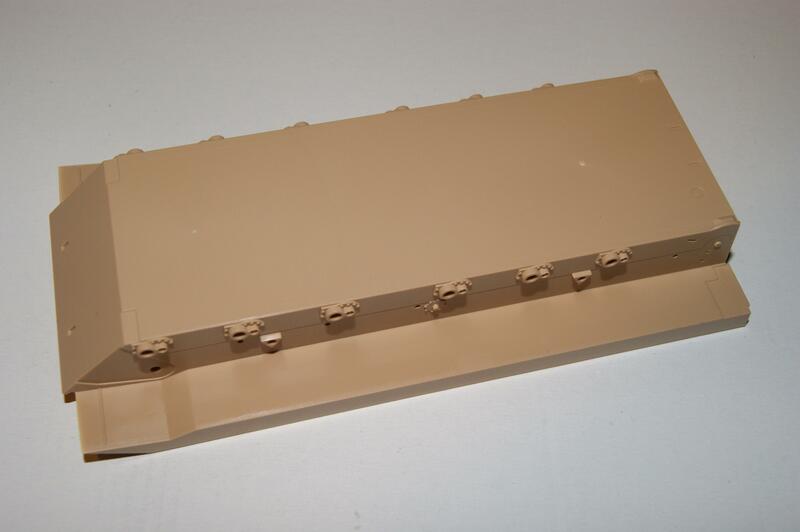 Opening the lid reveals a very sturdy box which contains a lot of sandy yellow plastic. 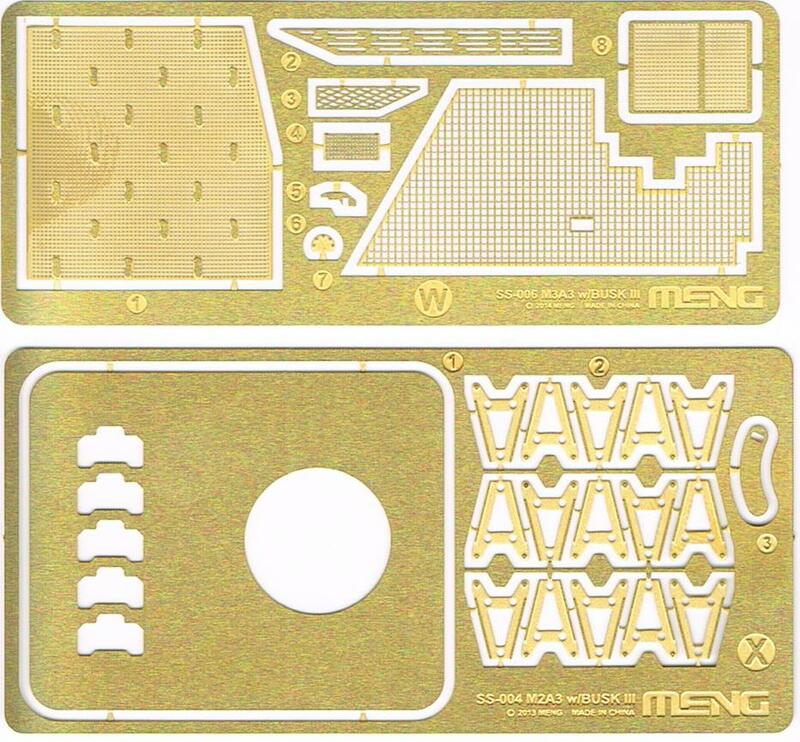 Instruction sheet: The instruction sheet is what we have gotten used to from Meng. 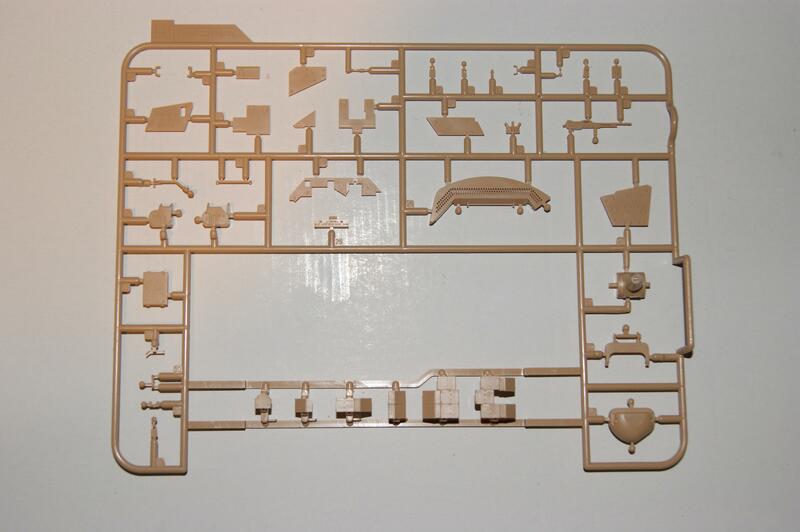 A colorful front, some information about the vehicle followed by black and white instructions that take you step by step through the build in a way most people will have no trouble understanding. 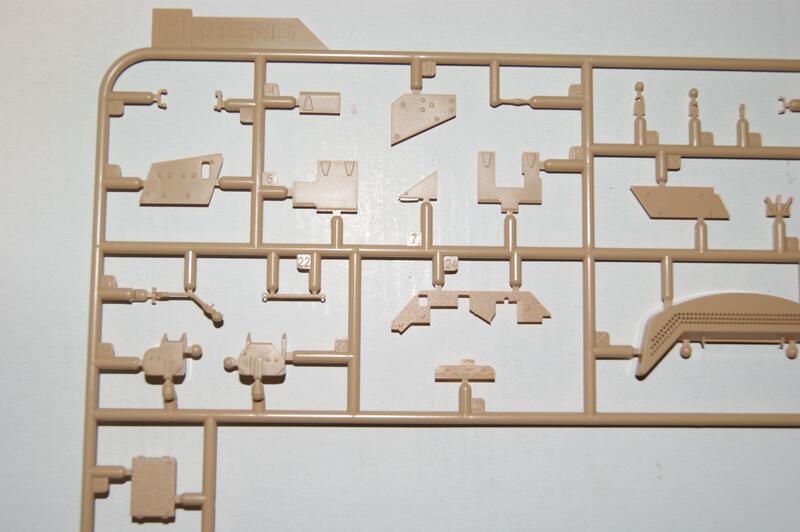 In the back of the booklet there is a colored print for the painting scheme and decal placement. 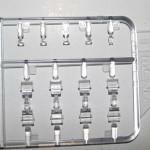 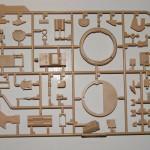 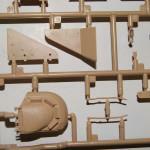 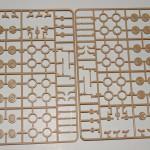 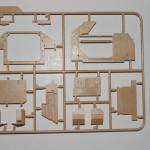 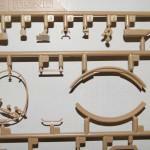 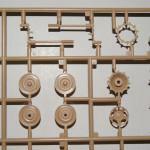 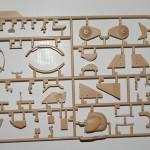 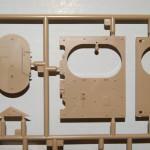 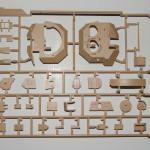 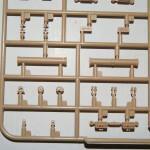 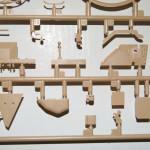 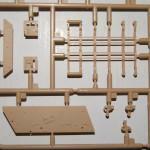 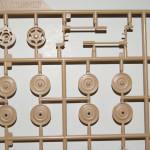 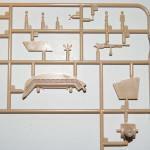 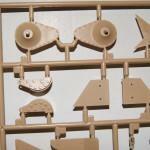 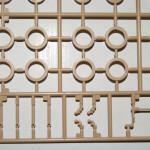 Sprue A (2x): These two sprues are about the wheels and suspension/torsion bars. 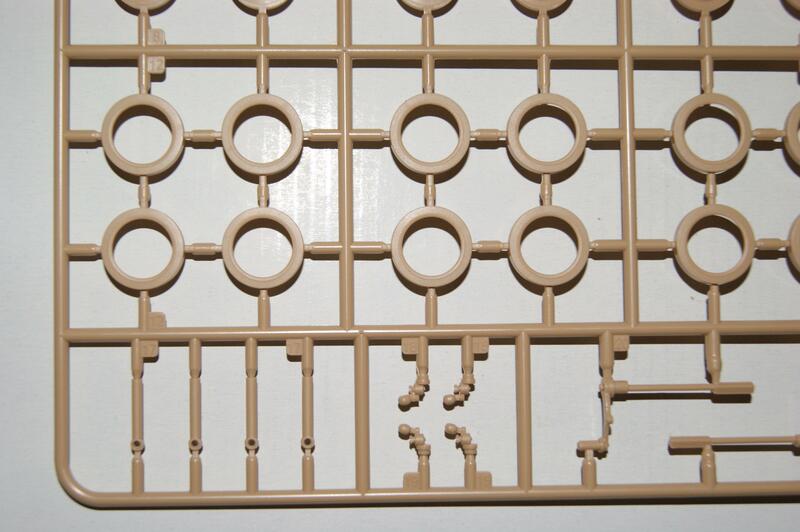 The details are nice and crisp as is the molding. 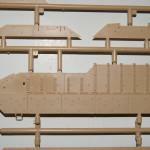 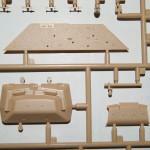 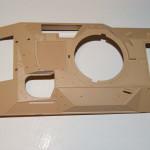 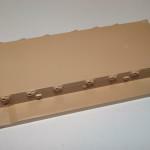 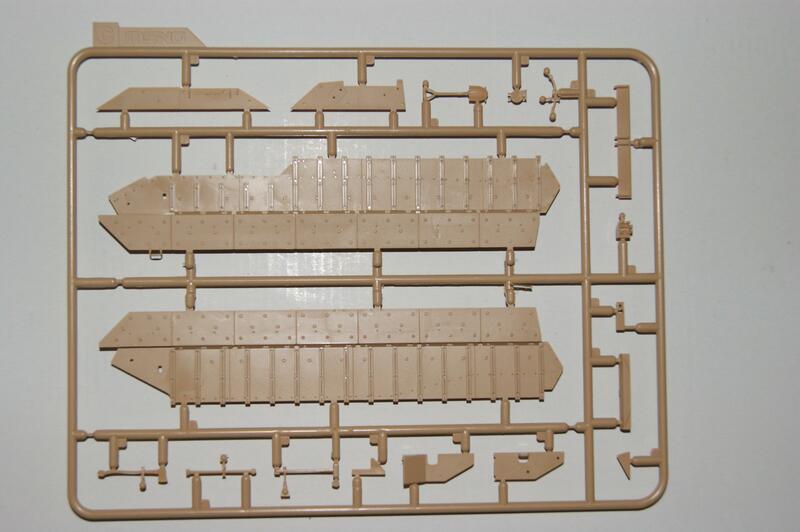 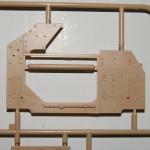 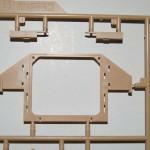 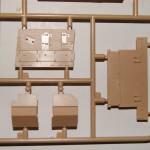 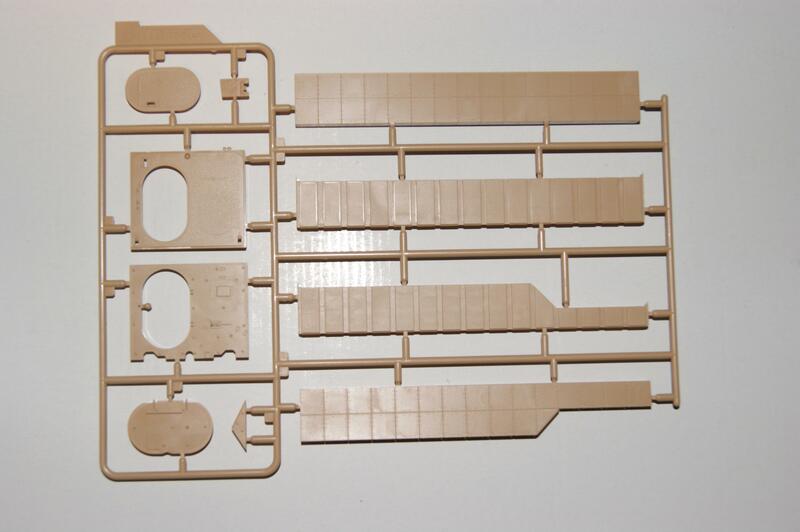 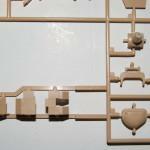 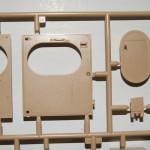 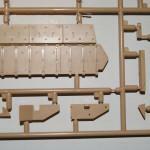 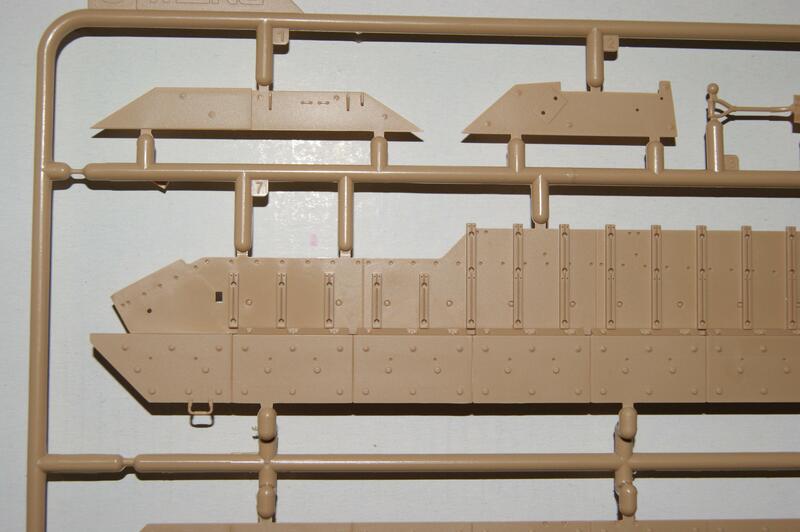 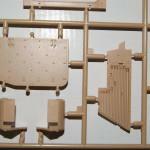 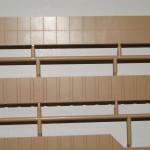 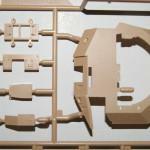 Sprue B: This sprue holds the rear ramp/door parts and the side armor modules. 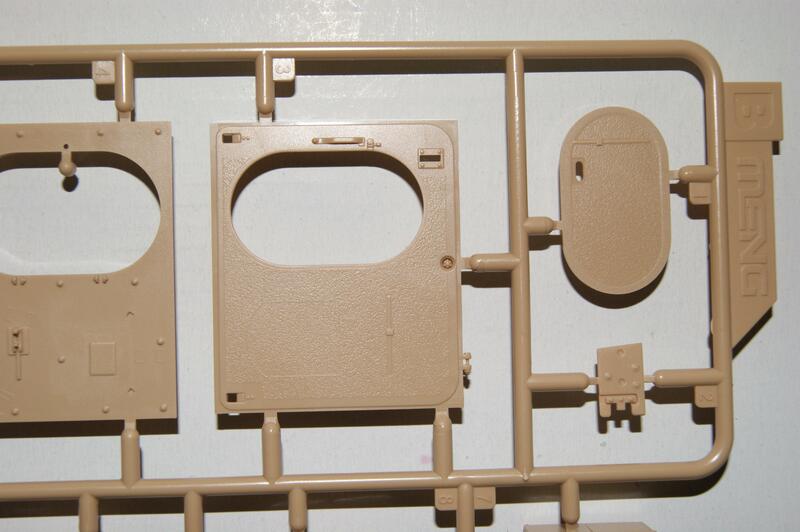 As you can see on the pictures there is an anti-skid coating on the doors. 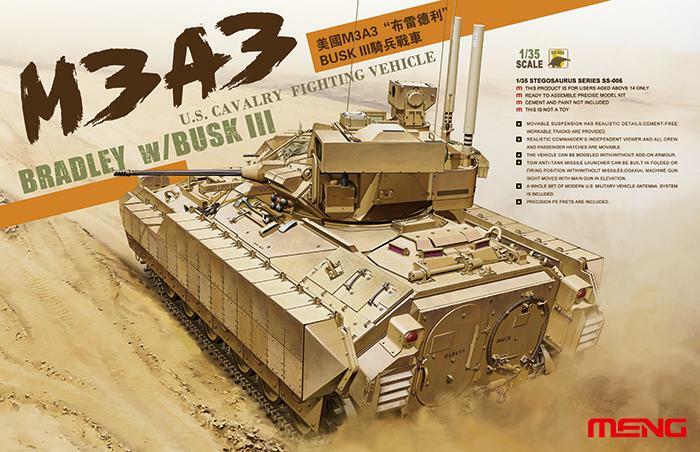 I think this is a real nice addition because the anti-skid coating is there on the vehicles but it’s not as present like for instance on Israeli vehicles. 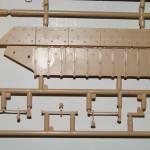 So if you would do it yourself you could easily overdo it. 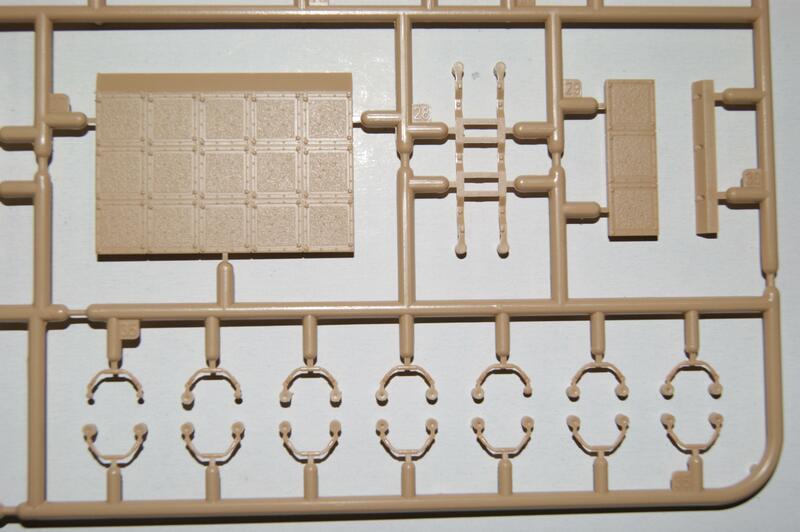 And in this way the modeler doesn’t have any extra work but will have the anti-skid. 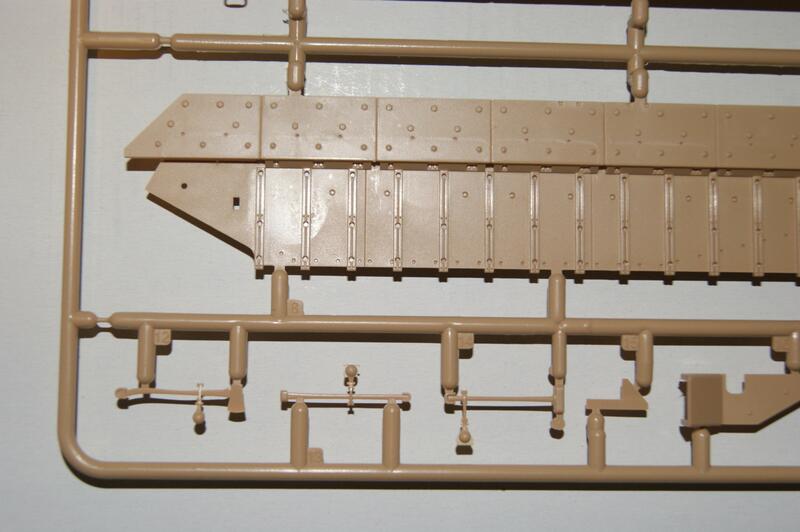 The rivets on the armor modules look great too. 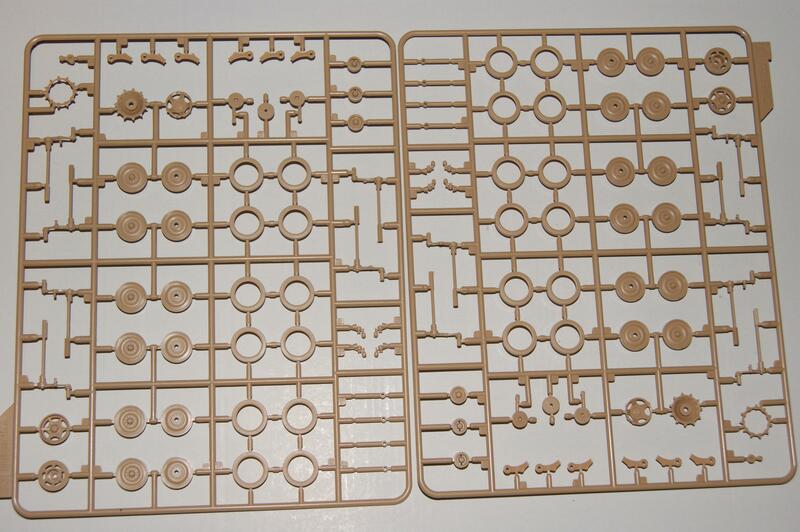 Sprue C: The main parts in this sprue are the side skirt, the armor modules from sprue B will be attached to these. 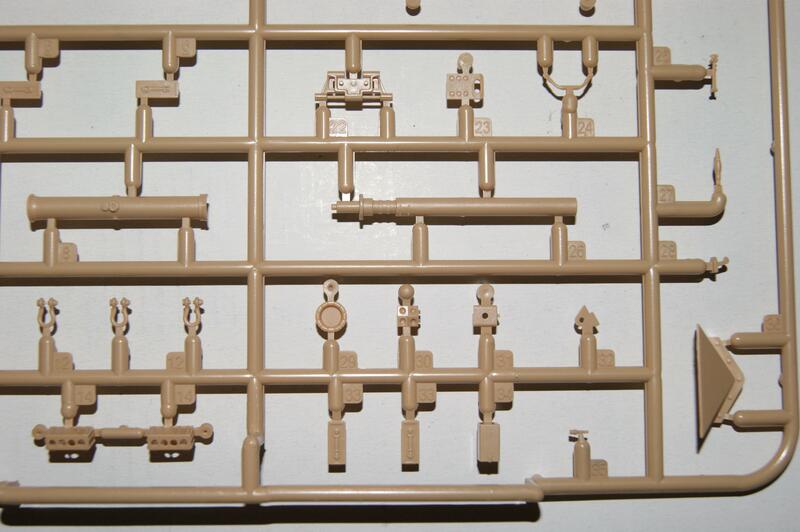 Also the tools are on this sprue and I really like what I see on here. 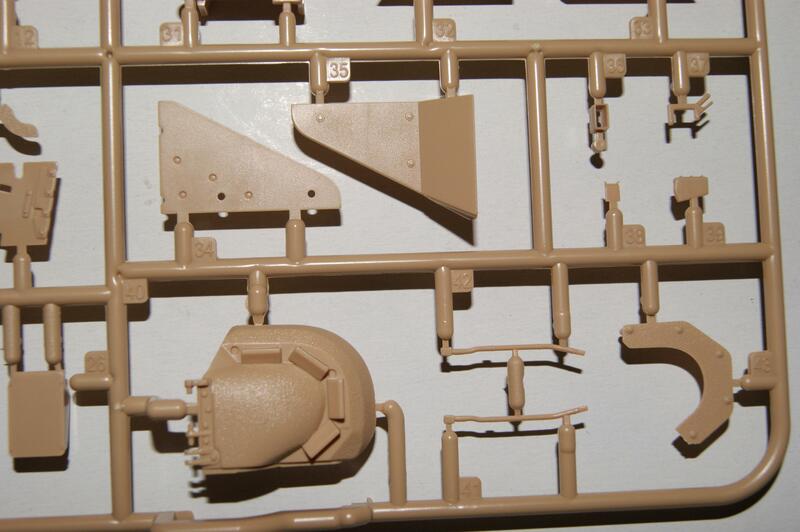 I especially like the axe which actually has a sharp edge. 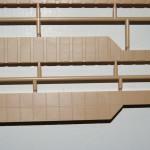 Sprue D: This sprue holds the rear hull plate and some hull plates. 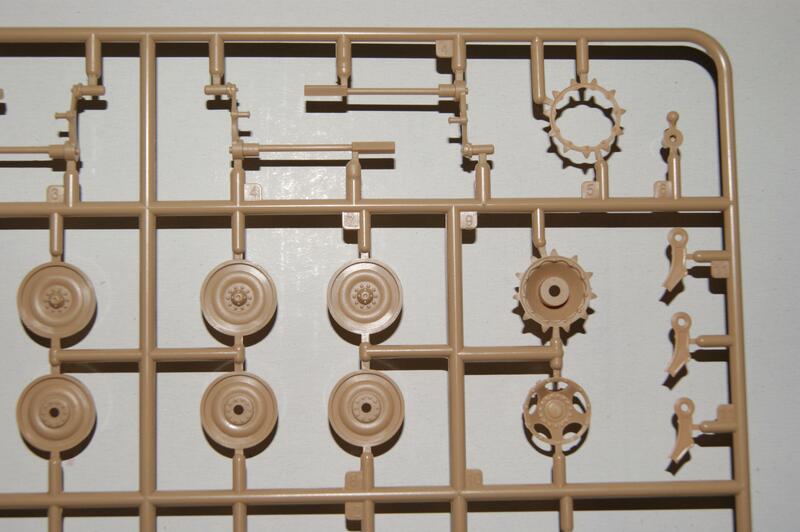 Especially part 8 is a nice one. 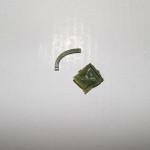 Also the anti-skid is present here. 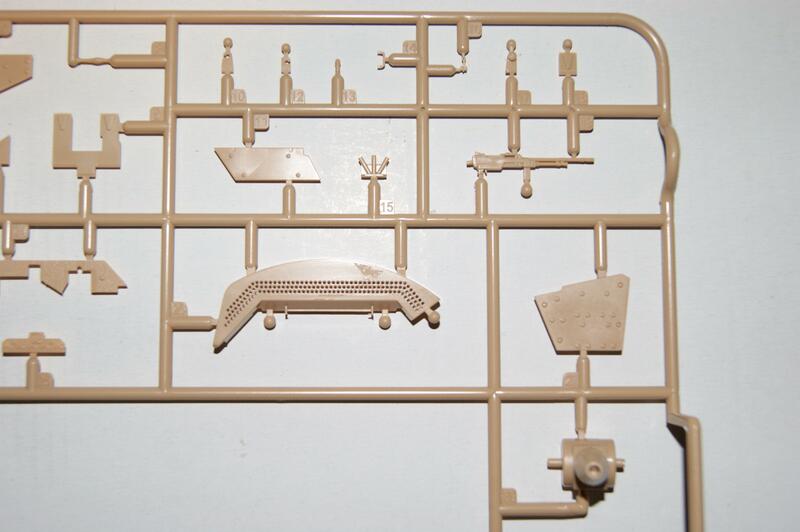 Sprue E: Another small sprue but also filled with detail and a few nice parts like the drivers hatch with (again) the anti-skid. 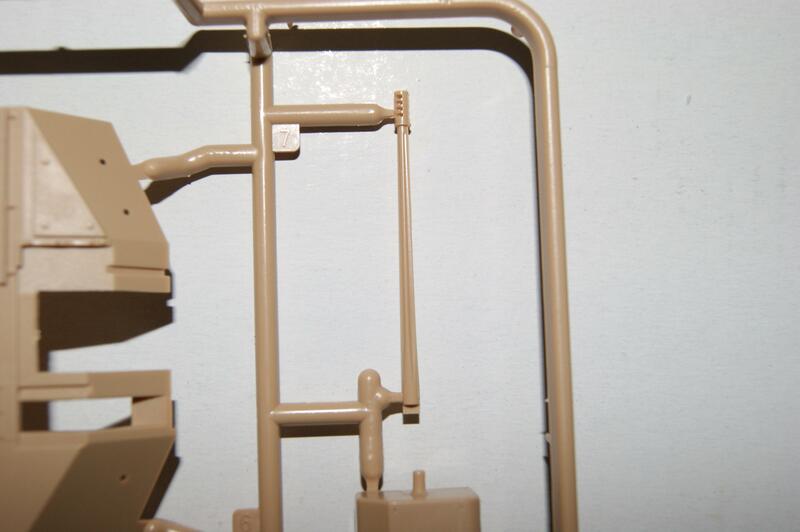 Also the tow cable I something that I want to mention. 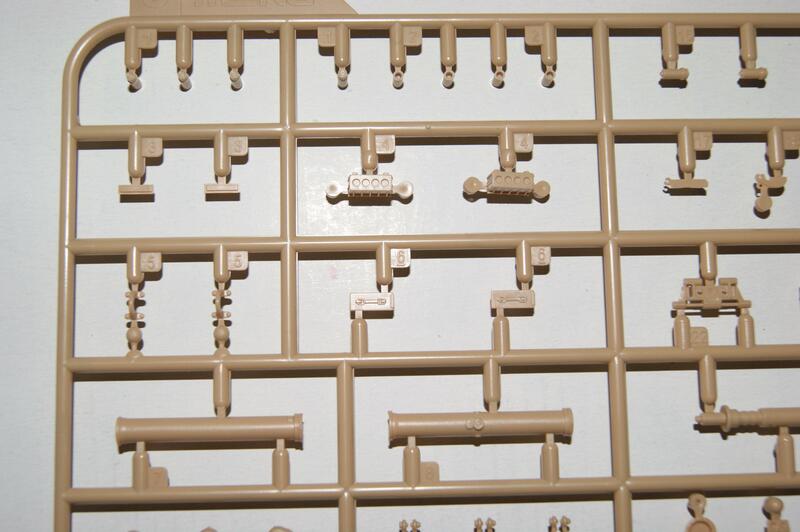 If you compare this to older plastic variants which mostly look like crap I believe this could look real cool when finished. 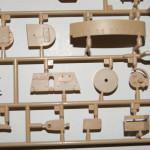 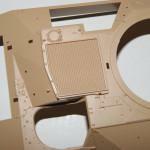 Sprue F: The turret, that is what this sprue is about. 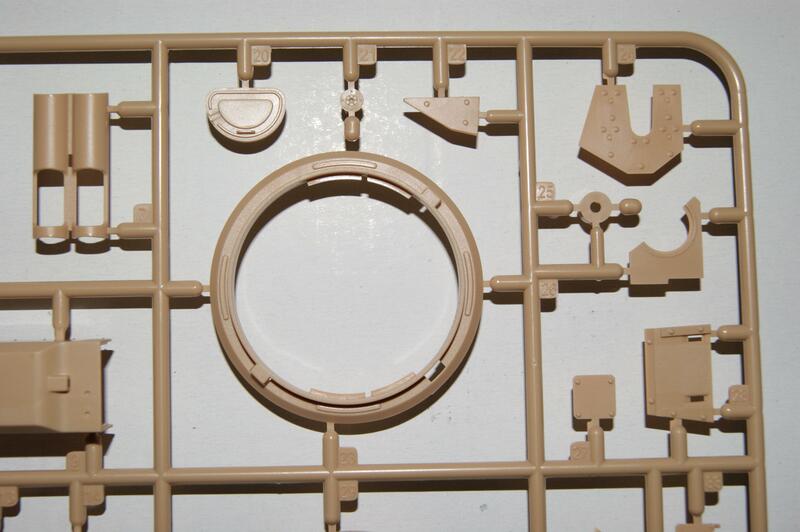 The two turret halves are the biggest eye catchers but also the smaller parts are really nice looking and are crisply molded. 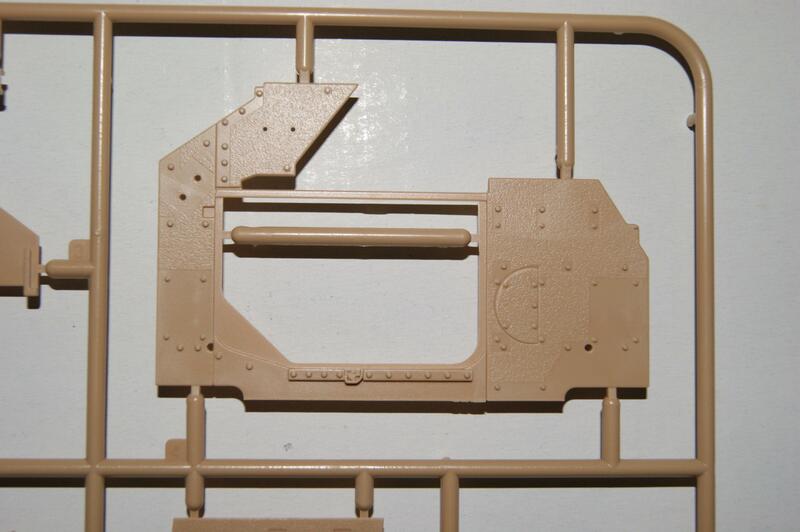 Also not the main gun, this is a one piece barrel. 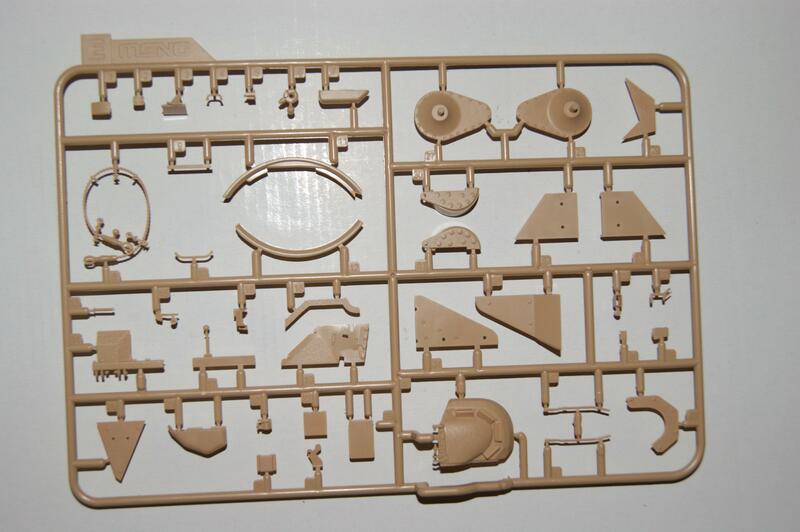 The front part is a real piece of art. 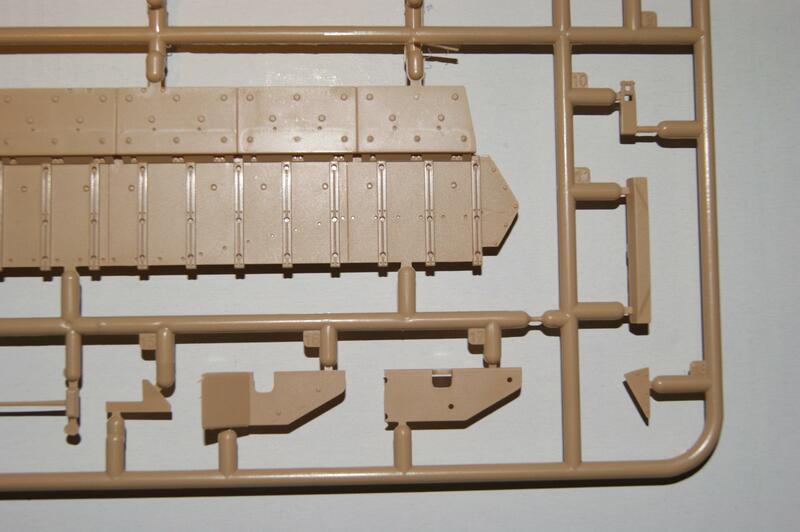 Open from the front and the side, really neat for a one piece barrel! 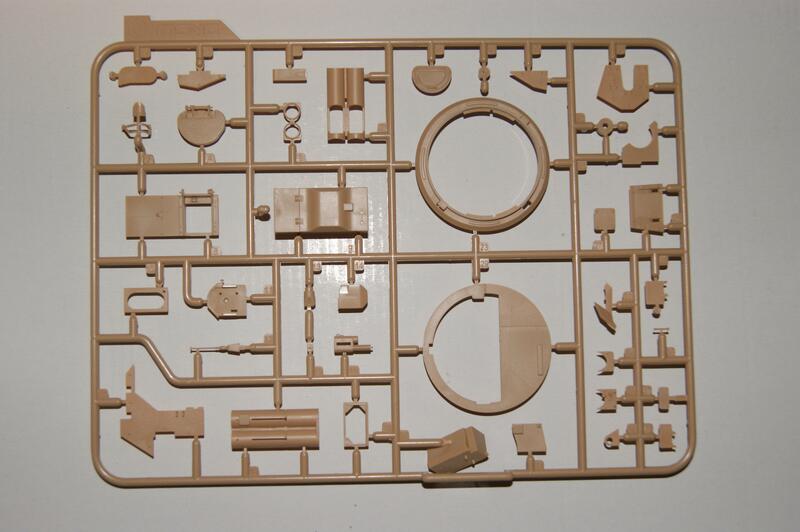 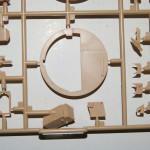 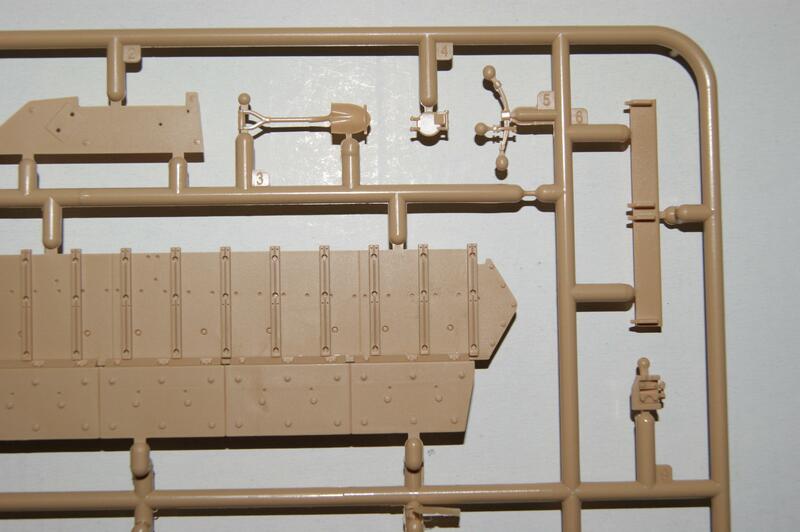 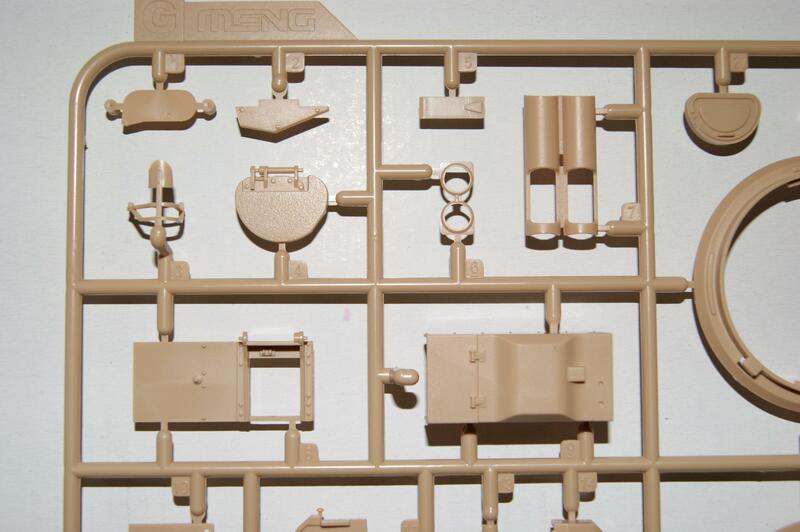 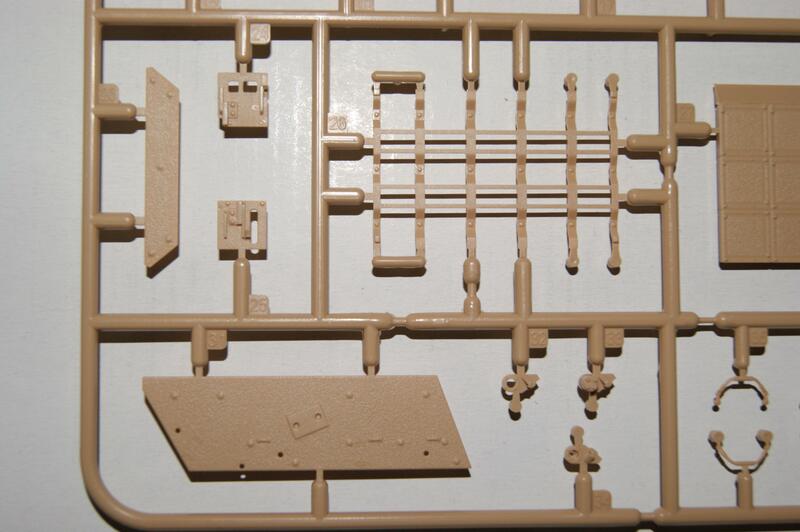 Sprue G: More parts for the turret, the turret ring and the tow missile launcher. 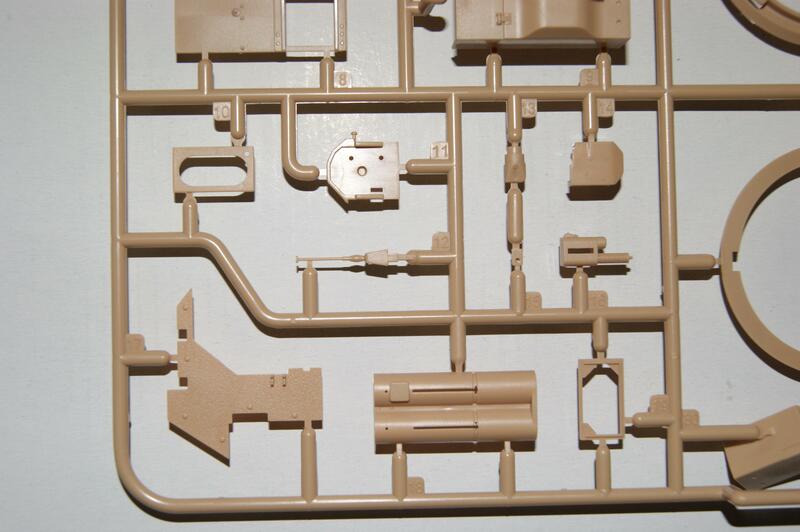 Again, the parts are very great detailed and the anti-skid again is present on the necessary parts. 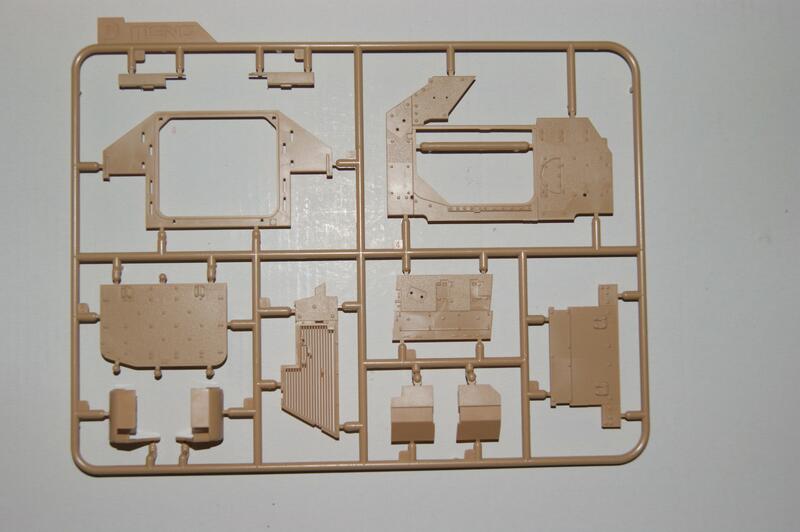 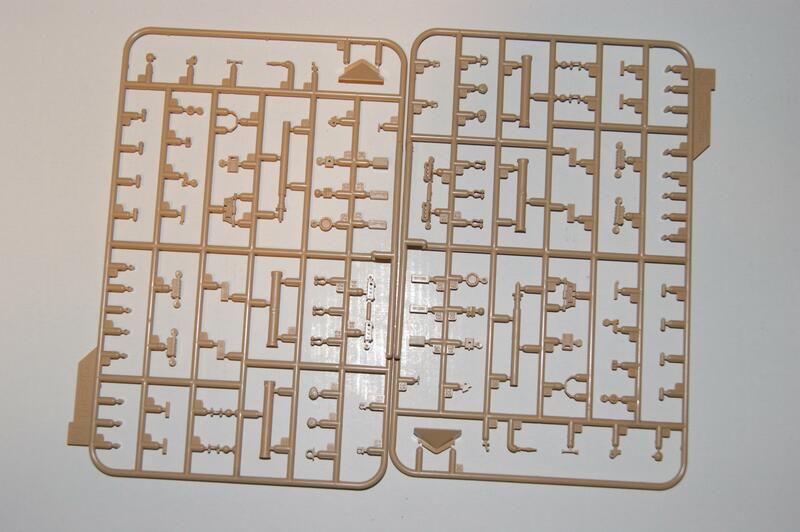 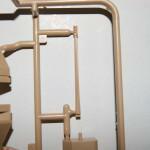 Sprue H: Also a sprue with parts for the turret. 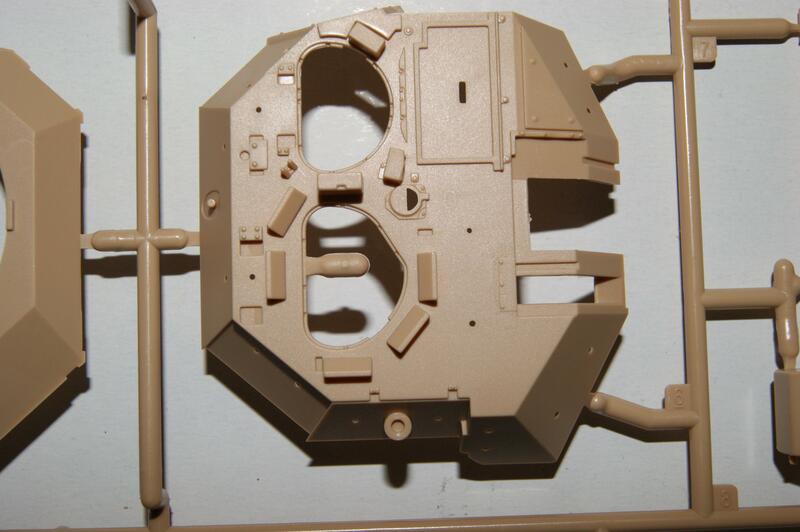 The lower part of the turret basket which is a nice looking part with the holes in it. 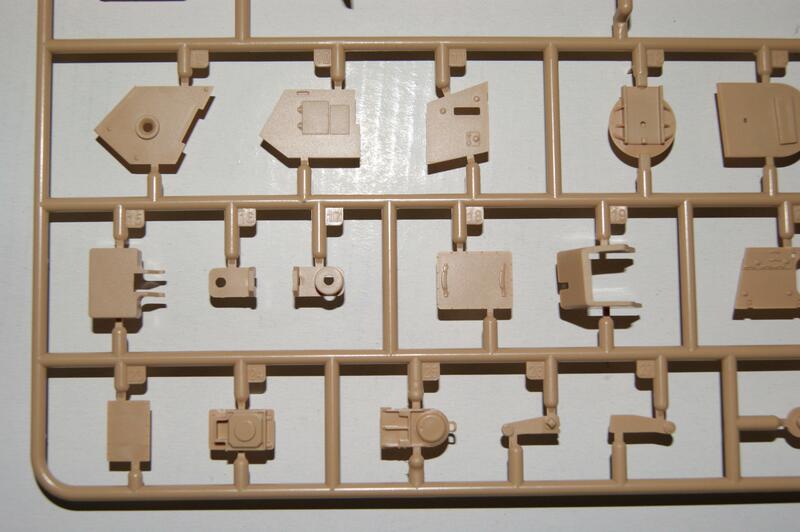 The rotating part for the main gun and some armor blocks are also a few nice eye catchers. 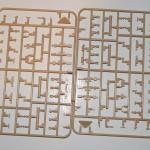 Sprue J (2x): These two sprues are filled with a lot of smaller parts like lights, spare tracks towing hooks and the smoke dischargers. 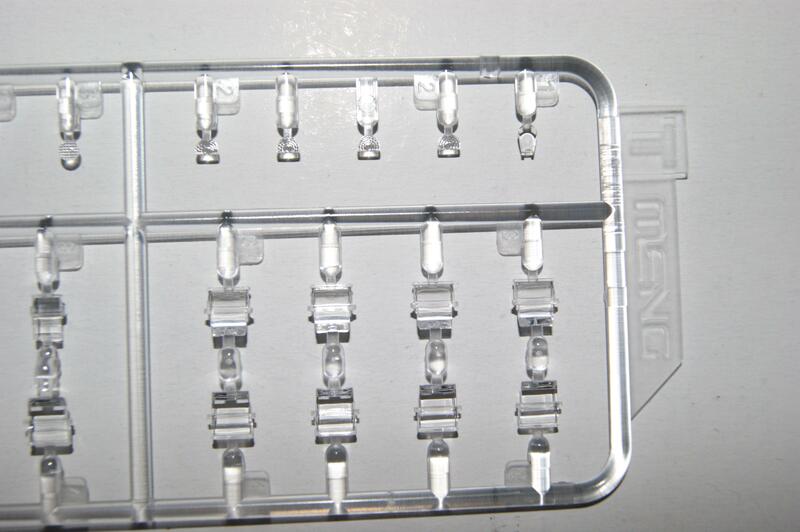 These have two options, with or without the black cap. 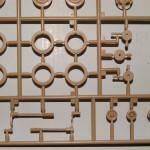 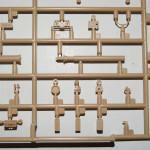 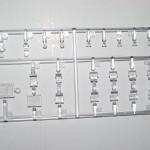 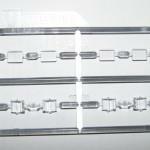 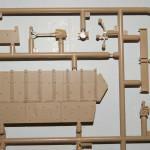 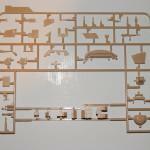 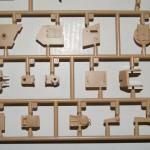 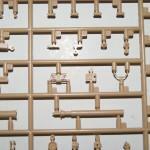 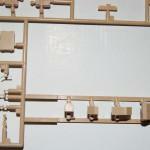 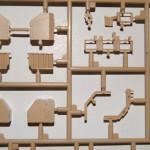 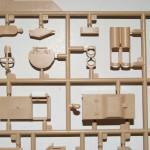 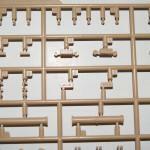 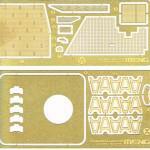 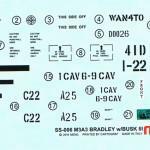 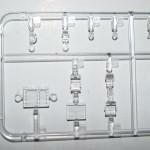 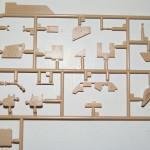 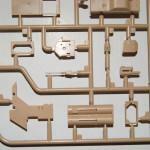 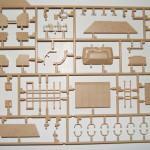 Sprue T: This clear sprue contains the periscopes and the clear parts for lights and thermal sights etcetera. 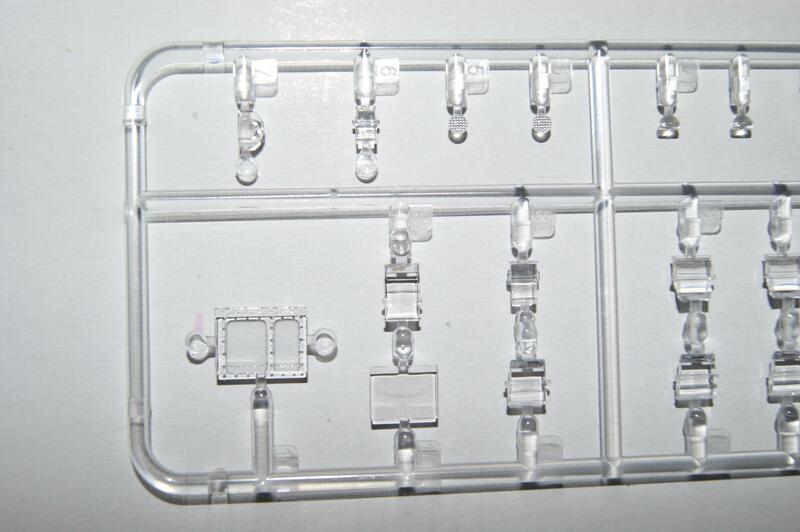 Sprue V: A small clear sprue with some periscopes and the glasses for the commanders protection system. 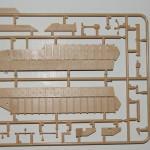 Sprue X: The last sprue has the rear stowage boxes, the side skirt ropes. 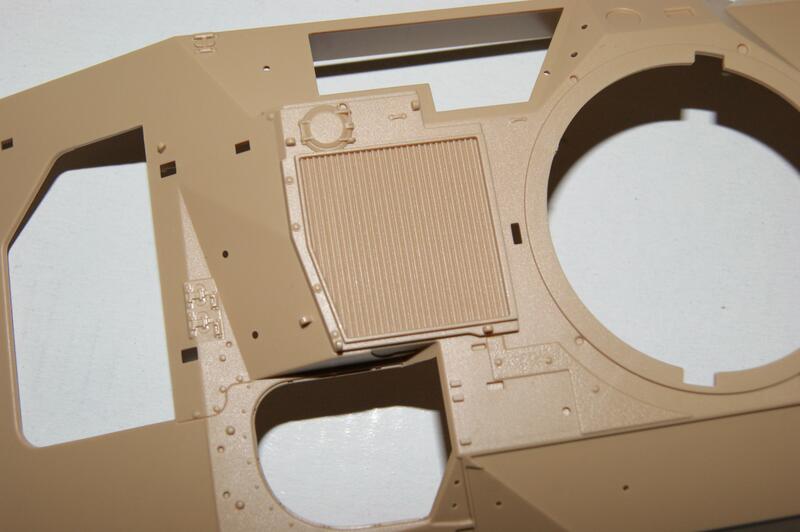 The rear hatch is an eye catcher as is the front hull plate with the little patches of anti-skid. 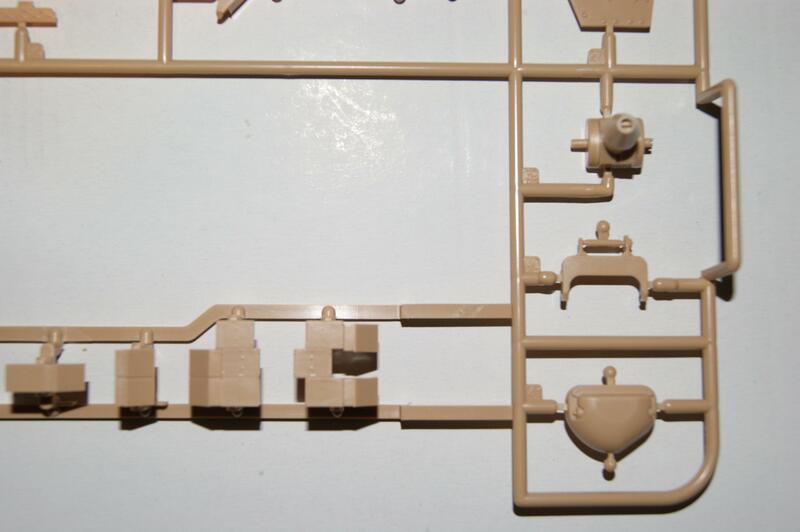 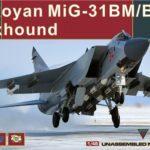 Upper hull: This actually has little detail on it. 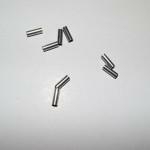 A few patches of anti-skid and some bolts. 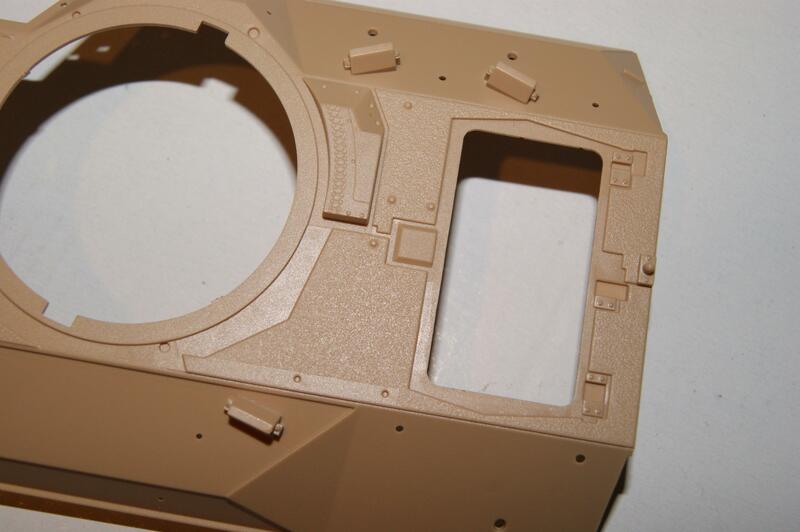 The big air intake is the piece that jumps in the eye mostly but the detail will be added so no worries. 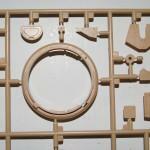 A dry fit promises a clean fit. 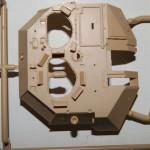 Lower hull: A nice part, with some detail round the suspension area. 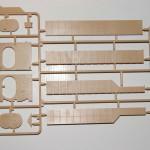 Tracks: Single piece tracks and they look very nice. 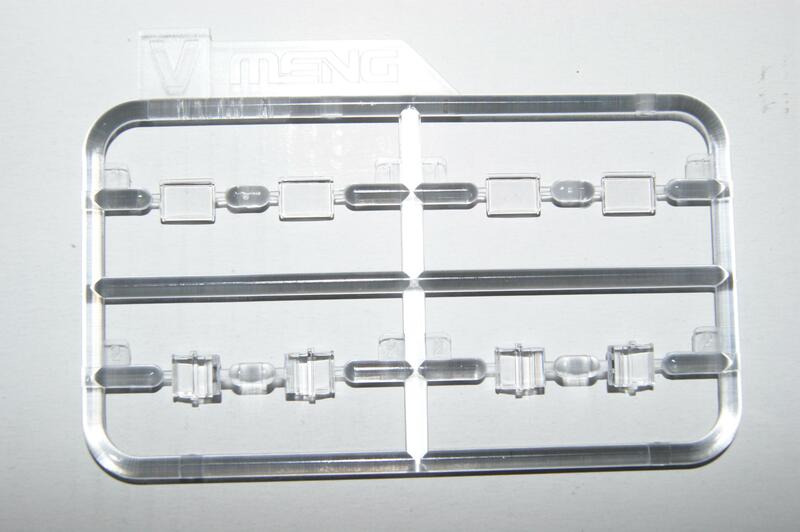 Hopefully Meng lives up to their high quality name so that they will fit great too. 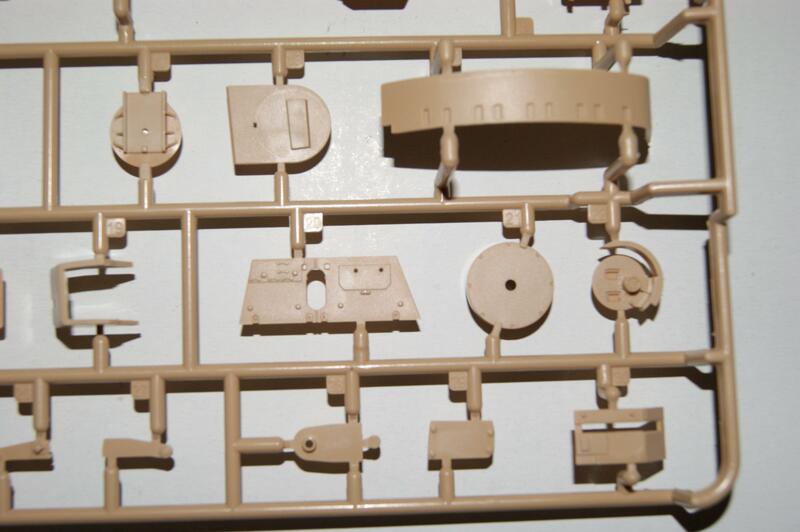 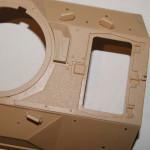 Vinyl parts: These flexible vinyl parts are for the top of the rotating main gun and the ammo belt. 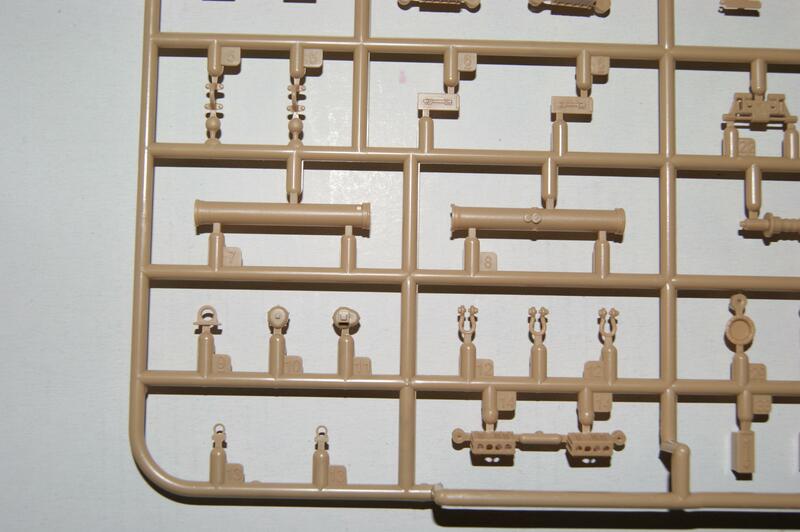 I think this is a nice addition, this will probably give you the option to move the main gun. 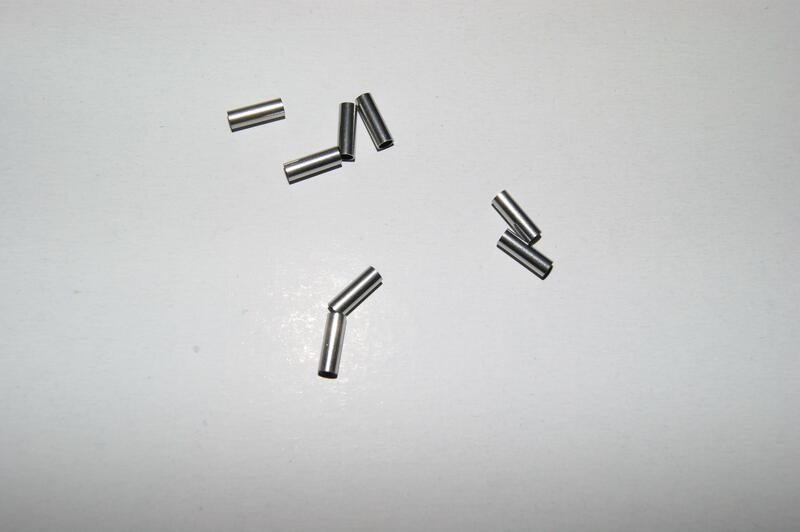 Metal tubes: These are used to ensure a working suspension. 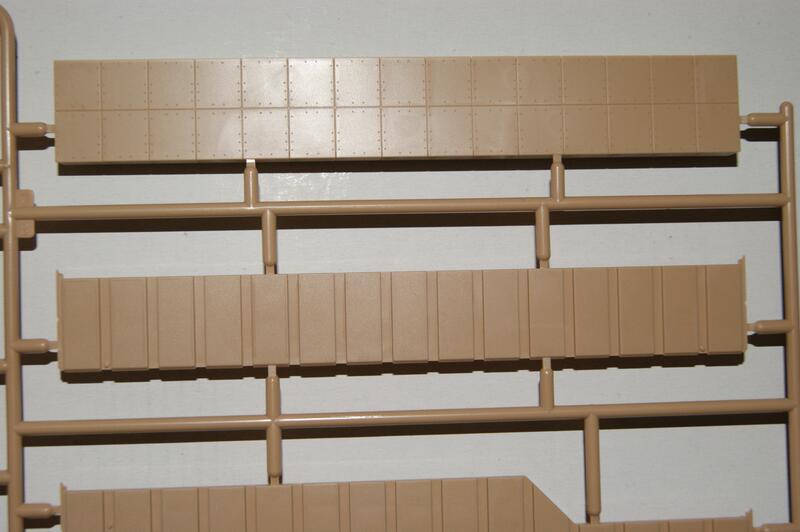 Photo etch: 2 PE frets, the one with some mesh parts and the other with parts that go along with the turret armor blocks and something that I always know to appreciate. 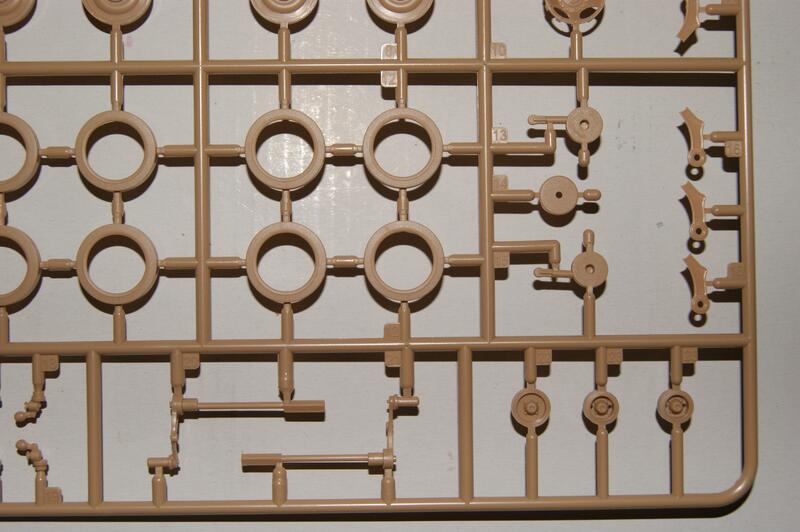 It’s a template. 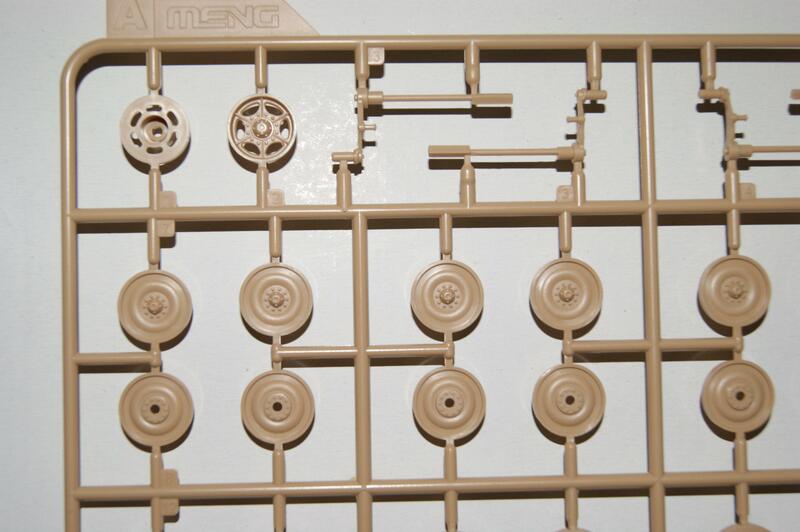 One side is for the wheels, so you can paint them all black at first and then paint the inside desert yellow (or whatever you’re going for) and the other side is for the rubber track pads. 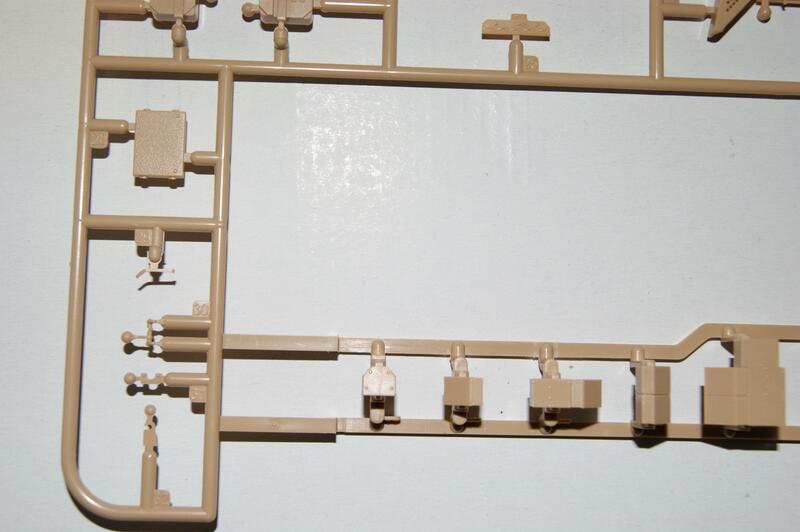 This way you can paint the metal parts of the tracks first and then you can paint the rubber parts black using the template. 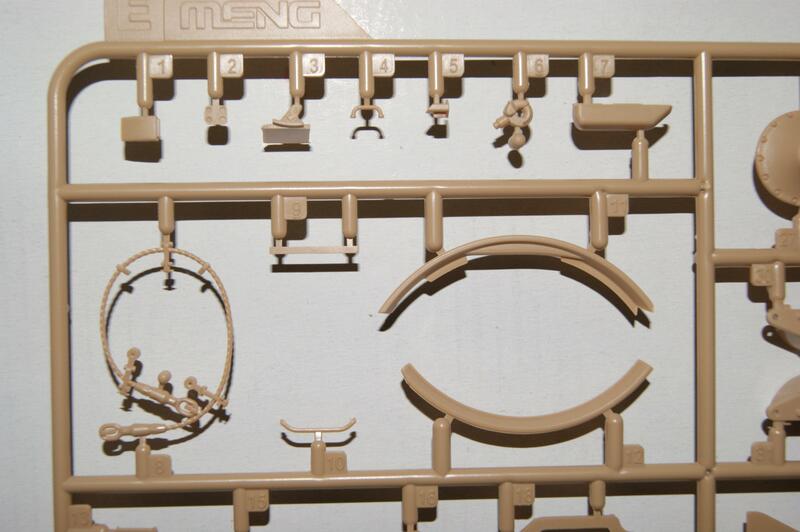 This is another very nice kit by Meng, simply as that. 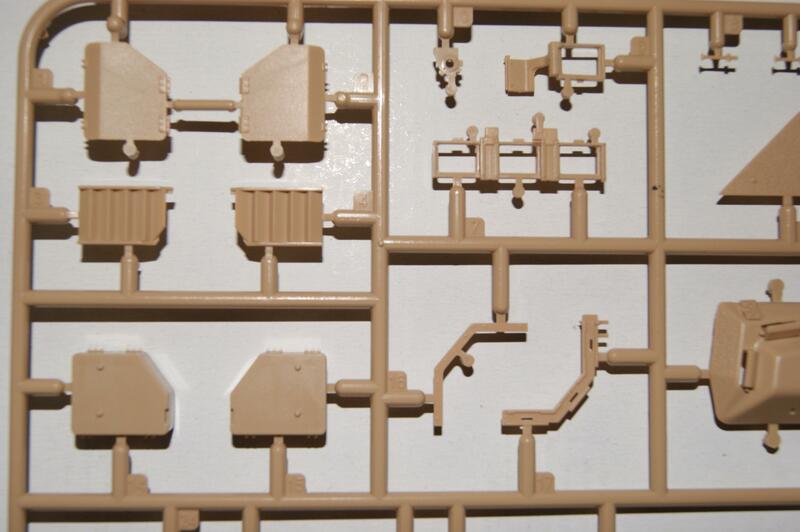 Great details and really crisp molding on all parts. 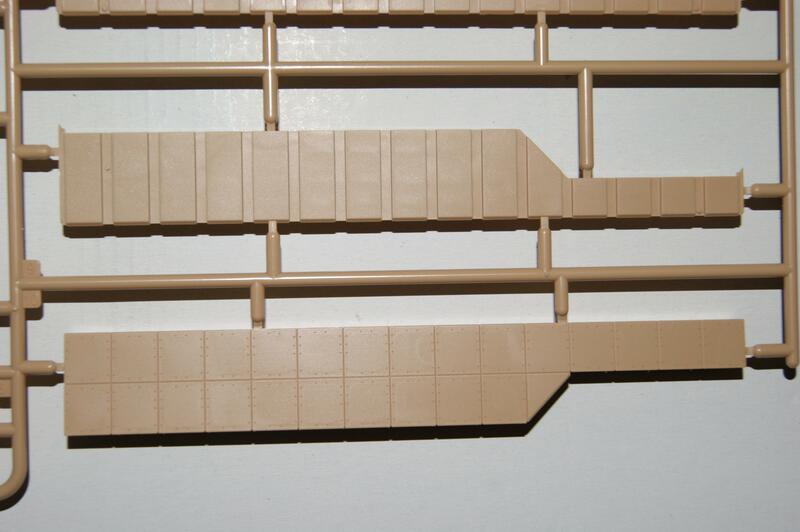 Perhaps that some people won’t like the loose tracks, or some people might think that the anti-skid coating is off but that’s just a matter of personal taste. I couldn’t find any real downsides. 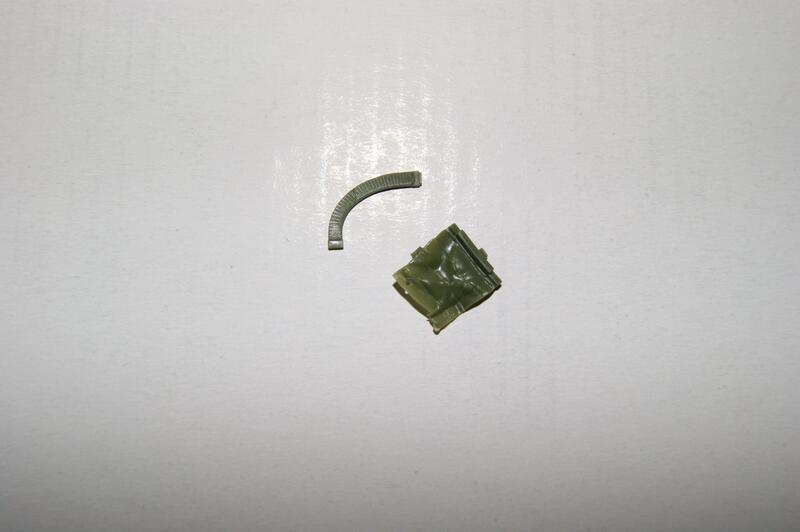 So it’s definitely recommended.